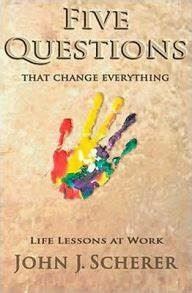 Self-Mastery for Internal and External Change Artists: The Shadow Knows with Dr John Scherer - In Person! John has decided to fly to Seattle all the way from Poland! Participants please bring a pen and paper to write on, thanks! Those who know much may be wise, but those who know themselves are even wiser. Those who are master over many may be powerful, but those who are mastering themselves are more powerful still. Greater awareness of what runs you—your 'Auto Pilot' or 'Adaptive Routine' that holds you back. Please be aware that our meetings may be recorded or photographed. Bob will do this session live via zoom meeting from his home in Florida. 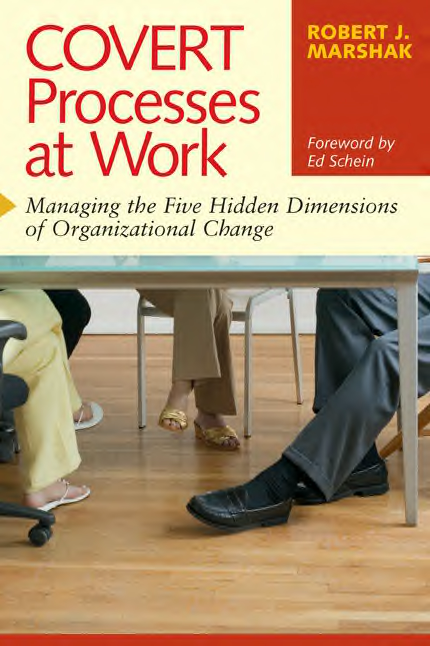 In this session you will learn about The Covert Processes Model™ and the five hidden dimensions that impact organizational change including: organizational politics, inspirations, emotions, mindsets, and psychodynamics. All of these hidden processes limit choice, block creativity, and trap individuals, groups and organizations in repetitive and often self-defeating behavior patterns. The evening’s session will bring together the spoken and the unspoken, the literal and the symbolic, and the conscious and the unconscious in order to help you learn how to hear what is not said, see what is not present, and feel what is not expressed. The evening will include discussion of the basic keys and approaches needed to “put things on-the-table” for open engagement. Additional tips and ethical considerations will also be discussed. Please come with a back-home case in mind for reflection and application of the ideas. Dr. Robert J. Marshak is Distinguished Scholar in Residence Emeritus at American University in Washington, DC and has consulted to corporations and government agencies for more than 40 years. 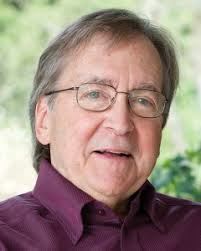 Bob is widely recognized for his pioneering work on covert processes and as a co-creator of Dialogic OD. 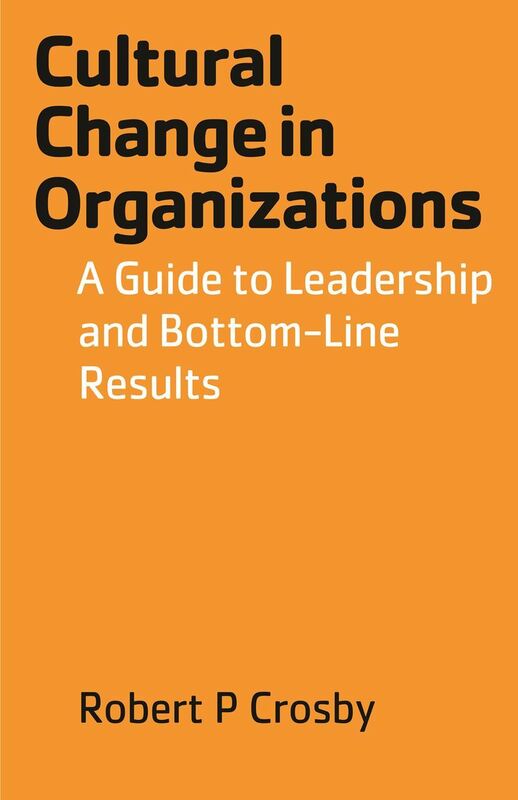 He is the author or co-editor of three books including Covert Processes at Work: Managing the Five Hidden Dimensions of Organizational Change (2006) and more than 100 book chapters and articles addressing organizational consulting and change. Among his many honors and awards, he received the Organization Development Network’s Lifetime Achievement Award and the Distinguished Educator Award from the Organization Development and Change Division of the Academy of Management. “What can we learn from Geoff’s fifty years of OD consulting?” That’s our presenting question and unique opportunity this evening. We will sit down with this experienced, successful consultant to reflect on what a career and a life in this work can be. During these ninety minutes, Geoff will review his consulting life, draw out our questions, explore their answers, and offer his insights. Over the years as he’s faced the challenges of surviving as an independent consultant, he’s been confronted with the realities of the marketplace while attempting create a fulfilling life. Some of what he has learned will be useful to us. Expect an evening of…Individual Authenticity…Consulting Wisdom…Emotion…Life Guidance…Group Engagement…and Fun! Geoff Bellman has been an OD consultant for fifty years, working with for-profit and not-for-profit organizations. His work has taken him to five continents. 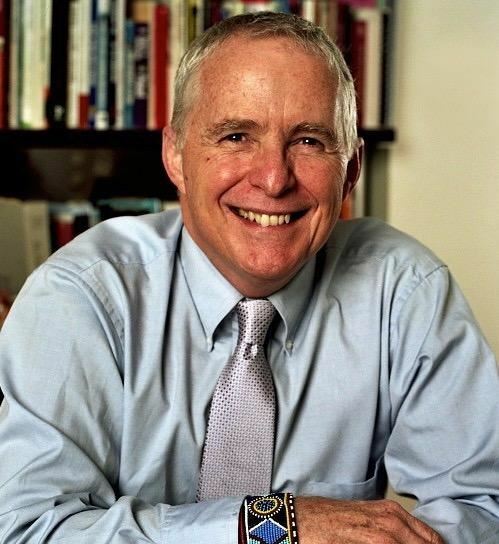 He served as guest faculty for numerous graduate programs, and wrote six books on organizations, consulting, teams, leadership, change, and life. 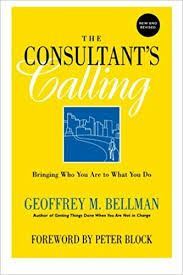 One of those books—The Consultant’s Calling: Bringing Who You Are to What You Do—provides a backdrop to this evening’s session. Geoff is a charter member of the Woodlands Group, the Community Consulting Partnership, and the Extraordinary Team Partnership. During the OD Network’s recent national conference, Geoff received the network’s Lifetime Achievement Award. One of the greatest challenges facing leaders today is the diversity of the 21st Century workforce – a workforce made up of multiple generations with diverse backgrounds, values, work ethics and perspectives when it comes to how they do their job. 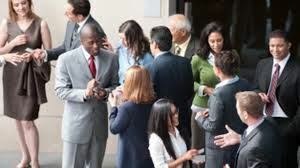 Never has there been a greater need for skilled leaders who can resolve conflicts and misunderstandings, diffuse negativity, inspire teamwork, and bring out the best in disparate groups of people. Yet few leaders have the understanding, self-awareness and skill to lead such a diverse, multi-generational workforce. To be an effective leader in the 21st century, you must be able to understand people at their core, provide them with rewarding work opportunities that align with their values, and create work environments where employees can evolve, collaborate, and know they’re making a difference. 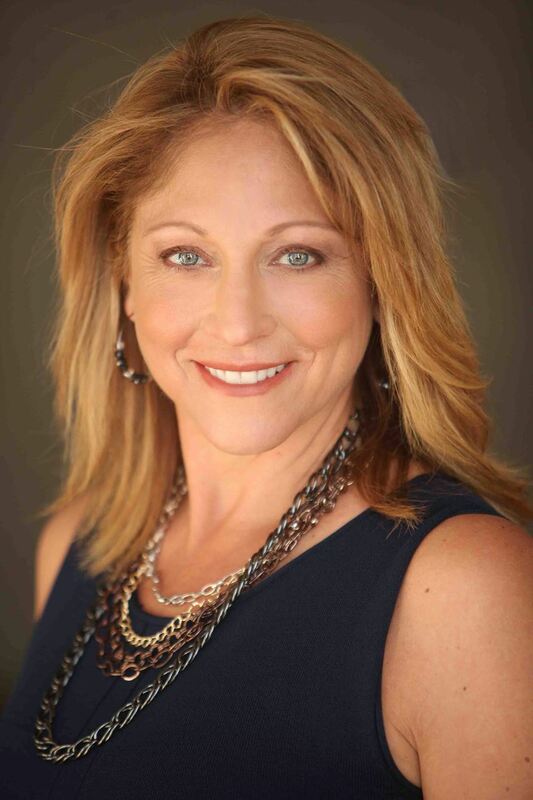 In Margaret (Magi) Graziano’s experiential workshop, Mastering 21st Century Leadership, you’ll receive the tools, strategies and 7 Levels of Effectiveness you need to cultivate the understanding, awareness, and additional skills to be a highly effective leader in the 21st century. The 3 tenets of highly effective 21st century leadership and why they work with today’s workforce. How to identify and leverage your leadership superpower to inspire, unify and empower others. Specific strategies for identifying and diffusing personal triggers that sabotage your authority and influence. How to raise your leadership IQ to cultivate greater understanding, maximize your effectiveness, and bring out the very best in your people. Magi Graziano engages audiences with her passionate and insightful philosophies on how to engage people and inspire teams. She is the Chief Evangelist for KeenAlignment, a global people optimization consultancy firm, specializing in enabling high-achievement corporate cultures. KeenAlignment is an Inc. 5000 award recipient, being recognized as one of the fastest-growing private companies in America. Join us for networking starting at 6 pm! We are not able to offer refunds after the Friday prior to the meeting. Substitutions are welcome. Please be aware that our meetings could be recorded or photographed. Consider joining PNODN - members can save up to $10 per meeting - that's up to a $90 savings for the year. Spend an interactive evening with Robert Crosby discussing some of his most memorable work. We’ll begin by gathering audience interest and then dialogue on each intervention chosen. *An asterisk references a write up that you may request. Eastern Washington State Hospital 30-day program with schizophrenic patients. Husband-wife T-groups with a psychiatrist’s patients, etc. Red Cross work with Vietnam vets. Facilitating the building of a new Juvenile Court. Aldus software- nine months late to on time for their next version of PageMaker. The Fusina, Italy lean manufacturing process that won the European Alcoa award. Washington State sponsored Gay Rights public meetings. How a department went from 200 to 17 grievances in one year. 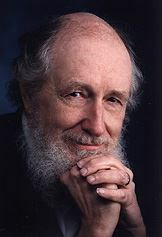 Robert P. Crosby, L.H.D. will be 91 years old on July 1 and is still active. He won a lifetime achievement award from the OD Network in 2016. He has 60 plus years of experience helping organizations get clear about effective leadership, alignment, teamwork, change management, task accomplishment and accountability. He is a master in his field, having founded the Leadership Institute of Seattle (LIOS) in 1969, and held faculty roles through LIOS contracts at universities such as Antioch in Seattle and Martin University (named after Martin Luther King Jr.) in Indianapolis, Indiana. LIOS became the first Masters program in Organization Development in 1973. In 1991 he created a corporate (Masters) leadership program to train leaders internal to Alcoa. Three of the plants participating were located in Addy (WA), Knoxville (Tn) and Evansville (In). All three of them were failing prior to the program and by 1994 Knoxville and Evansville created one third of the world wide profits for Alcoa. He has led T-Groups in six countries. He has published several business books including The Cross-Functional Workplace, Walking the Empowerment Tightrope, and most recently Cultural Change in Organizations. 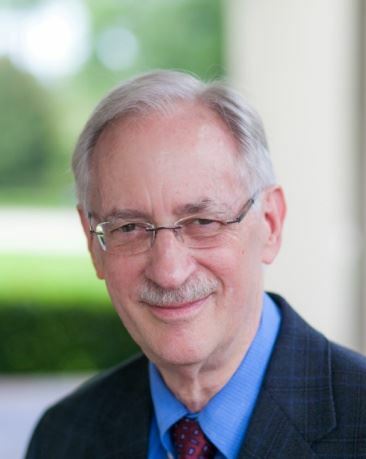 In the current annual Jossey-Bass book on Organization Development, Robert has co-authored an Article with Matthew Minahan of American University called, “The Classic T-Group.” His forth coming book is on T-Groups.